Moradi kor, N., Hajmohamadi, S., Moradi kor, Z. (2013). Physiological and Pharmaceutical Effects of Tribulus Terrestris as a Multipurpose and Valuable Medicinal Plant. International Journal of Advanced Biological and Biomedical Research, 1(10), 1289-1295. Nasroallah Moradi kor; Saman Hajmohamadi; Zahra Moradi kor. "Physiological and Pharmaceutical Effects of Tribulus Terrestris as a Multipurpose and Valuable Medicinal Plant". 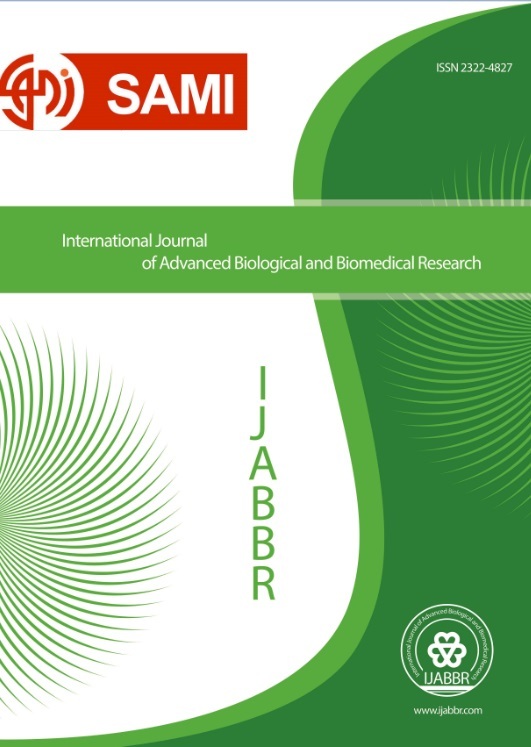 International Journal of Advanced Biological and Biomedical Research, 1, 10, 2013, 1289-1295. Moradi kor, N., Hajmohamadi, S., Moradi kor, Z. (2013). 'Physiological and Pharmaceutical Effects of Tribulus Terrestris as a Multipurpose and Valuable Medicinal Plant', International Journal of Advanced Biological and Biomedical Research, 1(10), pp. 1289-1295. Moradi kor, N., Hajmohamadi, S., Moradi kor, Z. Physiological and Pharmaceutical Effects of Tribulus Terrestris as a Multipurpose and Valuable Medicinal Plant. International Journal of Advanced Biological and Biomedical Research, 2013; 1(10): 1289-1295.